INTI International College Penang (IICP) is offering two critical management programmes to produce talents that will bolster the nation’s move towards a knowledge-intensive, high value-added and high income economy. These talents will possess cutting-edge knowledge in their respective fields as well as the necessary analytical, communication and collaboration skills to succeed in the competitive business arena. INTI International College Penang’s two new diploma programmes will provide a comprehensive learning experience in Human Capital and Supply Chain management. IICP’s new Diploma in Human Capital Management provides a comprehensive learning experience that includes exposure to real life business situations to stimulate critical thinking. This 2-year programme features a mix of face-to-face and online support learning, with access to course materials, assignments and faculty members at any time. It will prepare students for career opportunities at the executive level, or progression to degree studies. “It is a known fact that one of the highest expenses in any organization is labor costs. With the increasing need to retain talent to maintain competitiveness, the demand of personnel specializing in human capital management is greatly needed. This programme will introduce the basics of human capital development, from conceptual understanding of human capital management to insights into solving work-related issues,” said Lim Tan Chin, Dean of Business School, IICP. IICP’s new Diploma in Supply Chain Management is also a 2-year programme and is specially designed to help students gain insight into the entire spectrum of manufacturing from raw materials to the end user. “Supply chain management has become a key area to increasing competitiveness and productivity, be it in manufacturing or services. The growth of this area in the last five years has been significant as organizations are looking into areas of increasing efficiency of their operations. Thus, the job prospect in this area is tremendous,” said Lim. 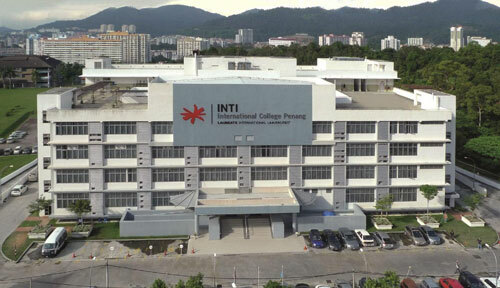 The international reputation of INTI International College Penang is based on world-class academic programmes combined with high quality project-based teaching and learning. In addition, state-of-the-art facilities and the development of strong management, interpersonal, language and cultural skills provide a distinct advantage to INTI graduates. INTI’s education in management is shaped by an ideal balance of theoretical knowledge and practical training. Students will be trained to develop leadership qualities, confidence and resourcefulness, as well as learn how to analyse, strategize and make quick decisions. All these will give the students a distinct advantage as they advance to higher studies or challenging careers. The new diplomas allow one to pursue diverse career options within and without an organisation. Graduates can venture into research and development or start their own business. IICP takes pride in its graduate placement and exercises a best fit approach. For more information on IICP’s new diploma programmes, please call 04-631 0138.